Bosses are threatening to lay off servers after an exposé of working conditions by The Citizen, with unions getting in on the action. 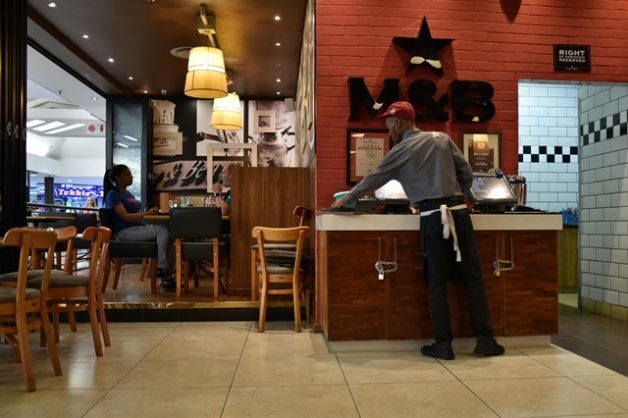 A wave of panic has engulfed the workforce of several Mugg & Bean restaurants, amid investigations into working conditions at the franchise chain and subsequent threats by their bosses to lay them off. The friction between the workers and the restaurant chain now also threatens to put them on a collision course with organised labour, with unions threatening to march on their branches. It recently emerged that the labour practices of several franchisees were in conflict with regulations, such as the national minimum wage and the conditions laid out by the Bargaining Council for the Restaurant, Catering and Allied Trades. Workers now fear retrenchment and complain they are being victimised and accused of “ratting out to the papers” on their plight. Waitrons and other staff members working at various M&B outlets spoke to The Citizen anonymously in a series of interviews in which they claimed managers were threatening to retrench workers following a previous article, which revealed that workers were not earning a salary and had to survive on tips and a 3% sales commission. This, as well as the widespread practice of charging a daily upfront breakage fee of up to R25, was the subject of the investigations being conducted by the M&B and the Council. A waitron who has worked at an M&B outlet in Johannesburg for 10 years told The Citizen he feared this would be his last year working at the restaurant. The manager allegedly asked five staff members to sign documents giving two weeks’ notice of their termination. Staff members were told this was because the restaurant could no longer afford to keep them on as staff as they would soon be forced to pay them a salary. While M&B have yet to provide official answers to the latest questions posed by The Citizen, it was understood that the company’s national labour audit was expected to be complete in the next two weeks. A waitron at another outlet said workers felt increasingly intimidated by the actions of management following the publication of the previous two articles. The waitron claimed that most workers at the restaurant were immigrants who “did not have their papers”, leaving them open to exploitation. Waitrons were calling on trade union federation Cosatu to intervene. Cosatu’s parliamentary officer Matthew Parks said the federation would mobilise protest action targeting specific branches of M&B. He condemned the alleged intimidation. “Cosatu is shocked by the victimisation and pending constructive dismissal of several waiters at different franchises of Mugg & Bean. This is illegal,” he said. Parks said the federation planned visits to the branch which issued termination notices to staff members and, “if needs be”, would mobilise its union affiliate, the SA Commercial, Catering and Allied Workers Union (Saccawu), to picket at the branch. Saccawu would be signing up waitrons and staff at Mugg & Bean to join Saccawu to ensure they were organised and could be defended against the “brutal exploitation”. The union would also be registering disputes at the CCMA against Mugg & Bean for violating the Labour Relations Act and National Miminum Wage Act.